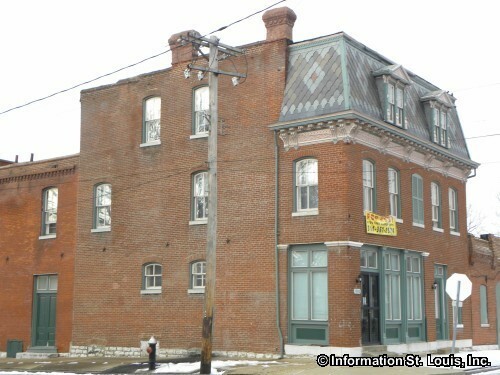 The Hyde Park Neighborhood is located in North St. Louis. Its boundaries include Interstate 70 to the east, Ferry to the north, Glasgow to the west, Palm and Natural Bridge to the south. Other important streets for the neighborhood are Bremen, Salisbury, N. Florissant, 20th, Blair and others. 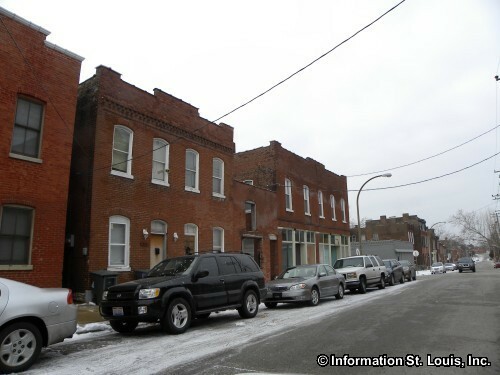 Surrounding neighborhoods are the College Hill and Fairground neighborhoods to the northwest, St. Louis Place and Old North St. Louis neighborhoods to the south and the Near North Riverfront Neighborhood to the east. 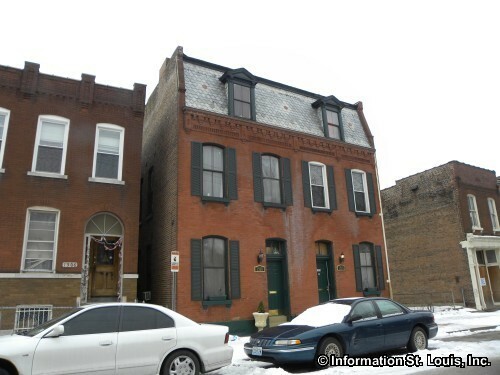 The Hyde Park Neighborhood was originally settled by the many Germans who came to the St. Louis area in the 1840's. The town that began to develop along Bellefontaine Road, present day Broadway, was given the name "New Bremen", after the hometown of those early German immigrants. In 1850 the four major landowners incorporated the town of Breman, and in honor of them, four streets, Mallinckrodt, Destrehan, Angelrodt, and Buchanan, were named after them. By 1856 the people of Bremen voted to have their town annexed by St. Louis which ended the official existence of Bremen. Dr. Bernard G. Farrar, the first American doctor in St. Louis, was wealthy landowner in Bremen. In 1854, his widow sold their family estate to the city of St. Louis which eventually became the location of Hyde Park. Eventually, the area that surrounds the park became know as the Hyde Park Neighborhood. The Hyde Park Neighborhood lies within the designated Historic City District, Hyde Park District. 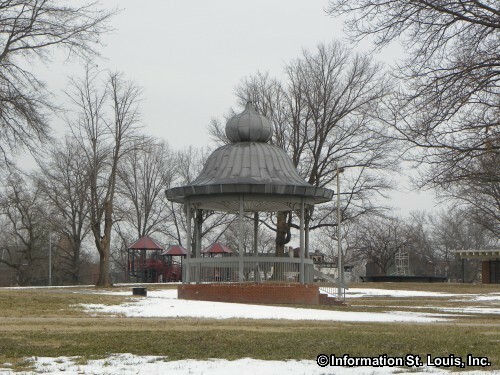 Two St. Louis City parks are located within the neighborhood, Hyde Park and Windsor Park. The amenities these two parks provide for the residents of the neighborhood include a one acre fishing lake, picnic tables and pavilions, playgrounds, basketball and tennis courts, horseshoe pits and softball fields. Clay Elementary School was built in 1905 and designed by the famous St. Louis architect, William B. Ittner, in the Greek Revival architectural style. 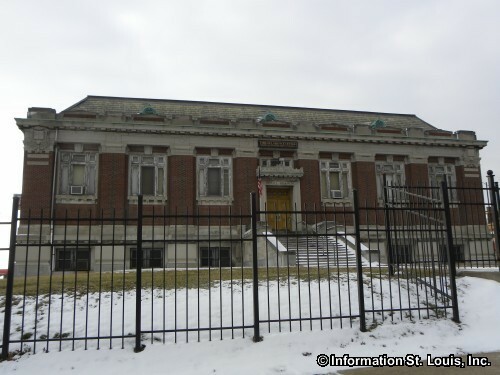 It is part of the St. Louis Public School District, which serves the residents of the neighborhood, and is one of the district,s Community Education Full Service Schools. Most Holy Trinity School is another school in the neighborhood and is a private Catholic elementary and middle school. Holy Trinity Catholic Church is one of the many churches in the Hyde Park Neighborhood and sits on the corner of North 14th and Mallinckrodt Streets. It is one of the finest architecture examples of church buildings in North St. Louis. The first of what would be a total of three buildings was erected on this site in 1848. The present French Gothic building with its twin towers was built in 1898. It was originally built by the Germans who lived in the neighborhood as a German-language parish. Another church in the neighborhood is the Bethlehem Evangelical Lutheran Church. The building that is located at the corner of Salisbury and North Florissant was built in 1895 but the congregation was organized in 1849. This church, too, was established by the Germans who lived in "New Bremen". 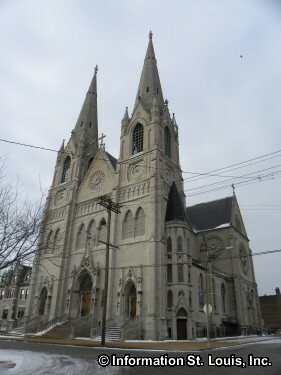 The church building is designated as a City Landmark. The Piekutowski European Style Sausage company on N. Florissant Avenue has been located in the Hyde Park Neighborhood since 1958. The business was started by the Piekutowski family in the early 1940's and had its first location on Cass Avenue. A tornado came through the North St. Louis in 1927 and caused damage to many of the buildings in the Hyde Park Neighborhood.